Infinix is one of the most popular smartphone brand in Nigeria. Infinix phones offer great specs at budget friendly prices. Since the launch of the Infinix Zero in 2014, Infinix phones have progressively offered more stylish designs and improved qualities. And recently there is an Infinix Note 4, hot 5, Zero 4, an Infinix Note 3, an Infinix Hot S2 and an Infinix Hot 4. Where To Buy Infinix Android SmartPhones? All Infinix phones in the Nigerian market run on Android operating system and are available at Nigeria’s leading online stores: Jumia and Konga and Infinix zero 4 is the current flagship smartphone. The infinix hot 5 has almost the same specs sheet as the hot 4, not so much has changed making it more boring in the eyes of infinix fans who complained that infinix updates device every 6 months without any technical differences. the hot 5 has 8MP back camera and a 5MP Cam on the Front, RAM is 1GB, storage 16GB, android nougat(which appears to be the only difference) and 4000 mah of battery. Infinix note 4 is an upgrade on last year's note 3, looking through the specs sheet you won't find much differences between the two of them, infact the note 3 seems to be more powerful, but at least infinix claims the the note 4 is an upgrade so who are we to object? It comes with 2GB of RAM, 16GB of storage, octa-core processor, android v7.0 and 4000 mah battery. 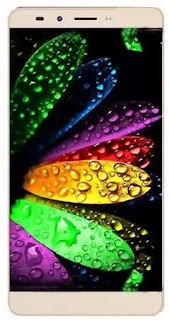 Infinix S2 is the smaller sibling to the hot S, it offers good and competitive specs for a reasonable amount of money. It comes with Android nougat out of the box, other specs include 2GB of RAM, 16GB of storage, 13MP back camera, dual 13+8MP front camera and an unimpressive 3000 mah of battery. zero 4 is the latest flagship phone from infinix, the phone which is the costliest infinix phone till date. it packs a high level of smartness, thanks to the mediatek helio x10 chipset. 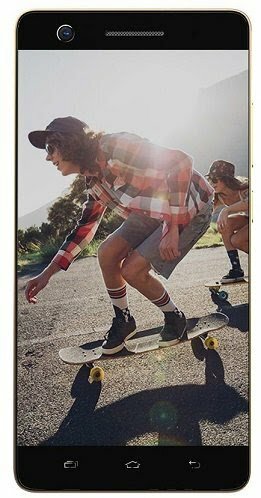 The device comes with a 16mp back shooter with wide angle 2.0 lens, along with an 8mp selfie camera and an Octa core processor. 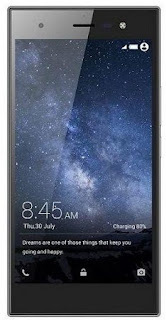 It comes with 3GB of RAM + 32GB of internal memory, android 6.0 marshmallow and 5.5-inch full HD display. There is even a much better variant called infinix zero 4 Plus. Infinix zero 4 price starts at N90,000, while the zero 4 Plus starts at N112,000. Where to Buy infinix note 3 or note 3 pro? 3. it is one of the 3 smartphones that infinix have release lately. The infinix Hot 4 spots a 5.5 inch IPS display. Comes with Android 6.0. It has a 2GB RAM, 16GB internal memory. The back camera is 8.0 and front is 5.0 . But unfortunately there is no support for 4G LTE. It has fingerprint scanner and comes with a 4,000mah of battery to play with. There is now another variant called Hot 4 pro which brings in 4G LTE support and the camera upgraded from 8mp to 13mp. WHERE TO BUY INFINIX HOT 4 or HOT 4 PRO? The hot S is one of the most solid phone ever produced by infinix . It is the successor to the popular hot note. This phone comes with great specs and promises to fill the void left by the hot note. It comes In two variant, the 2GB RAM version and the 3GB RAM version. Both arrives with the Android 6.0, spots a 5.2-inch display. The hot S comes with either 16GB or 32GB internal memory. Spots a 13mp back camera and a 8mp front camera. It has support for 4G LTE and fingerprint scanner. And a 3000mah of battery. 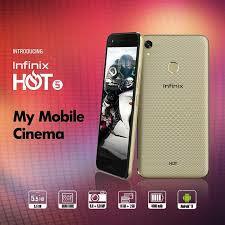 WHERE CAN I BUY INFINIX HOT S ? Infinix Zero 3 is a successor of the Zero 2. The Infinix Zero 3, which is also known as the Infinix X552, is designed for breathtaking viewing and amazing image-capturing capability as well as for jaw-dropping performance and superb sound quality. With a 2.2GHz Octa core processor(mediatek helio x10) you should expect a super fast performance no matter the number of apps you run at a time. It comes with 3GB of RAM, a 16GB, 32GB or 64GB depending on the variant you buy. A 20.7mp back camera and a 5mp selfie shooter is present. Unfortunately there is no 4G LTE support. 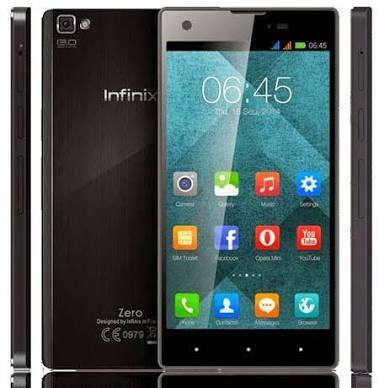 WHERE TO BUY THE INFINIX ZERO 3? Infinix is one of the most popular smartphone brand in Nigeria. Infinix phones offer great specs at budget friendly prices. Since the launch of the Infinix Zero in 2014, Infinix phones have progressively offered more stylish designs and improved qualities. 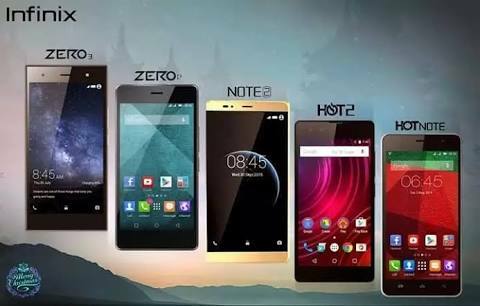 And recently there is an Infinix Note 4, hot 5, Zero 4, an Infinix Note 3, an Infinix Hot S2 and an Infinix Hot 4.